Last week I posted about my monthly returns using the Dailytrades platform. As I mentioned in that post, I have a vested interest in the product, so it would only be fair to also have a real user of the product share his results and thoughts about it every month. I’ll hand this post over to one of our customers. Hello world. Today I begin my diary of sports trading using the Trademate come DailyTrades tool. For those having never heard of the product and wanting a quick lowdown, I recommend viewing this video and spending a period of time flicking through the various videos on Trademate’s Youtube channel. A little on me first. For the purposes of avoiding bookie bans, my name won’t be provided on this format. I am an Australian who is currently researching performance analytics at an elite sports organisation. Around the age of 18, I begun to place bets and quickly became a losing, small stakes punter. Searching Twitter one day I came across Steve’s website and somewhat speedily became a member of the Value Selections portion of DailyProfit. Without limits at all bookies, the selections were essentially printing me money but over time I have slowly been banned at a growing percentage of the Aussie books. Since then my profits substantially decreased and recently many of the more well-known bookies have reduced the value of their offers. Generic story, but the base for where many like-minded, profit driven punters have ended up. Having received an email early February, I began to turn my punting focus to the edge bet. 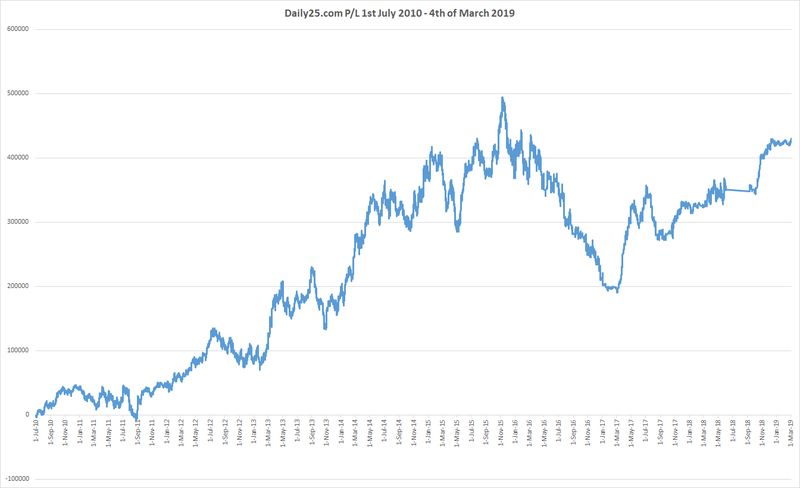 These blog entries will be the basis for me to analyse my week, provide detail of my failures and pitfalls and hopefully reach a satisfying profit number before the bookies take me down all over again! Without further ado, let’s get into the results! As we can see, my first month of trading was up and down. This was largely due to the way I was taking plays, and a strategy alteration around the midway point (Bet 286 to be exact). The first 285 bets I placed utilising the 30% Kelly system. Since then I’ve altered my approach to the greater variance 50% system. This system comes with a caveat that I play every bet over $3 with the 30% system, and have a sliding scale for the bets placed over $2.75. My first learning process as a punter was provided by Trademate’s own Marius (a regular feature on the Trading Europe Youtube series). Marius is known for his preference to avoid variance, and thus trades with the 30% Kelly system. He alerted me to the fact that I shouldn’t be taking bets outside of a $4 range unless the edge is off the charts. From Bet 516 onwards I have not taken anything outside of the $4 range. Variance has been favourable since this point, but over the last 182 wagers placed I’ve profited $1063. The beauty of this first month is that it has provided me with a relatively strong losing run. From Bet 222 to Bet 547, I went from a profit point of $835 to a loss of -$608. For the higher rollers, this may be a relatively average week and a half. For a small stakes bettor, this variance is another thing entirely. Understanding the reasoning behind the betting enabled me to bypass any concerns about the profit/loss figure. The variance was out of my favour and it was money that if worst came to worst, I was willing to part with. The other favour a downswing provides is a thorough review of what is and isn’t working for you. As previously detailed, for me it was the fact that I was taking every edge, regardless of whether the edge placed was a $10 longshot or a $1.20 favourite. Having identified this aspect of trading early, I now have an invaluable piece of knowledge at a minimal price. As I’m sure you’re now aware after clicking on that aforementioned link, Edgebet have their very own ‘savant’. 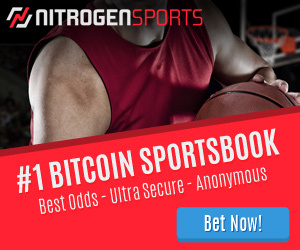 Jonas Gjelstad is a poker player turned sports better who came from a similar position of loser to winner, quickly turning $10,000 into a million after developing his own processes and utilising the Edgebet information on the sharp books (Asian market). As he so eloquently summarises, he has had a losing month but never a losing year. Variance is just one of the battles to overcome. From Bet 1 to Bet 698 much has been learnt and I’m sure the learning process will continue. I’ll keep you informed of how everything is tracking and the alterations I continue to adapt in the way of staking and in the way of how I take certain plays. I hope you enjoyed the read and may the variance be on your side. Do you mind write an article on how to stay discipline? Or had you already written that topic? I’ve written about how to deal with short term winning and losing runs. Once I find some time I plan to write much more about it. It’s a big topic.